As we prepare to bring The Linux Experiment to a close over the coming weeks, I find that this has been a time of (mostly solemn) reflection for myself and others. At the very least, it’s been an interesting experience with various flavours of Linux and what it has to offer. At its peak, it’s been a roller-coaster of controversial posts (my bad), positive experiences, and the urge to shatter our screens into pieces. Let me share with you some of the things I’ve personally taken away from this experiment over the last three-and-a-half months. This has been a point of discussion on both of our podcasts at this point, and a particular sore spot with both myself and Tyler. It’s come to a place wherein I’m sort of… afraid to perform updates to my system out of fear of just bricking it entirely. While this is admittedly something that could happen under any operating system and any platform, it’s never been as bad for me as it has been under Fedora 12. As an example, the last *six* kernel updates for me to both Fedora 11 and 12 combined have completely broken graphics capability with my adapter (a GeForce 8600 M GS). Yes, I know that the Fedora development team is not responsible for ensuring that my graphics card works with their operating system – but this is not something the average user should have to worry about. Tyler has also had this issue, and I think would tend to agree with me. Though there have been so many frustrating moments over the last four months that I have been tempted to just format everything and go back to my native Windows 7 (previously: release candidate, now RTM). Through all of this though, Fedora – and Linux in general – has never stopped interesting me. This could just be due to the fact that I’ve been learning so much – I can definitely do a lot more now than I ever could before under a Linux environment, and am reasonably pleased with this – but I’ve never sat down on my laptop and been bored to play around with getting stuff to work. In addition, with some software (such as Wine or CrossOver) I’ve been able to get a number of Windows games working as well. Linux can play, too! Customizing my UI has also been a very nice experience. It looks roughly like Sasha’s now – no bottom panel, GnomeDo with Docky, and Compiz effects… it’s quite pretty now. If there’s one thing I’ve chosen to take away from this experiment it’s that there is ALWAYS some kind of alternative to any of my problems, or anything I can do under another platform or operating system. Cisco VPN client won’t install under Wine, nor will the Linux client version? BAM, say hello to vpnc. Need a comprehensive messaging platform with support for multiple services? Welcome Pidgin into the ring. No, I still can’t do everything I could do in Windows… but I’m sure, given enough time, I could make Fedora 12 an extremely viable alternative to Windows 7 for me. There’s a reason I’ve chosen my clever and rather cliche title for this post. According to lore, a phoenix is a bird that would rise up from its own ashes in a rebirth cycle after igniting its nest at the end of a life cycle. So is the case for Fedora 12 and my experience with Linux. At this point, I could not see myself continuing my tenure with the Fedora operating system. For a Linux user with my relatively low level of experience, it is too advanced and too likely to brick itself with a round of updates to be viable for me. 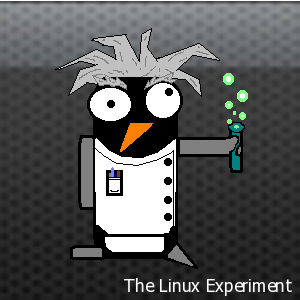 Perhaps after quite a bit more experience with Linux on the whole, I could revisit it – but not for a good long while. This is not to say it’s unstable – it’s been rock solid, never crashing once – but it’s just not for me. To that end, Fedora 12 rests after a long and interest-filled tenure with me. Rising from the ashes is a new user in the world of Linux – me. I can say with confidence that I will be experimenting with Linux distributions in the future – maybe dipping my feet in the somewhat familiar waters of Ubuntu once more before wading into the deep-end. Watch out, Linux community… here I come. You know, I feel much the same way about my time with Debian. As much as I love Linux, and I do, sometimes it can be very unfriendly to the end user – especially if you require proprietary drivers for your hardware. Of course, building a system with Linux in mind would solve many of those hardware problems, but that’s a matter of experience. I will be a Linux user for a long time to come, but I too might drop back to a easier to use distribution for awhile to see how Linux works when you’re assumed from the outset to be a dumb user. Thanks for the mention of CrossOver–we really appreciate it! Wow, thanks for taking the time to post on our site, Jon! I’m glad to see my tiny mention of your fantastic program attracted some attention. In all honesty, I could probably have written an entire post about how awesome my experience was with the trial of CrossOver Linux that I got to play with. It’s great stuff that you guys are doing over at Codeweavers, and I think it’s important that people know just how easy you’re making life for the rest of us.